Creating Unforgettable Events is a Middle Eastern Tradition. Events are where family bonds are strengthened and where business connections are cemented. Doing business in the Middle East always has a social aspect and very often a family dimension. Business events are one of the main ways potential business partners assess each other and how existing partners deepen their bonds. Being social and extending or reciprocating hospitality is an important part of our heritage and tradition. Events also play a crucial role in business life. Corporate occasions such product launches, press releases, brand promotion activities are important milestones for employees, business partners, customers and potential clients. Meetings, conferences and workshops are where business networks are expanded, and business opportunities created. Inviting clients and existing partners to lunches, dinners, receptions helps to deepen working relationships and to foster more cooperation. 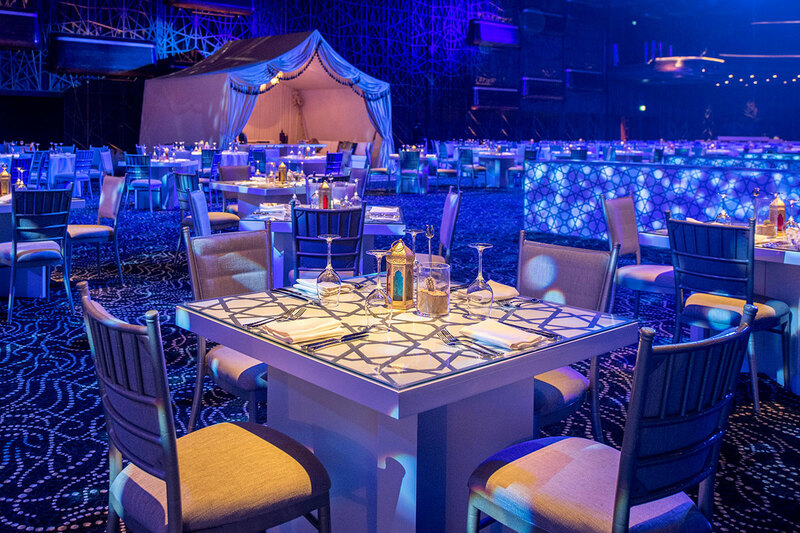 Because there are so many different events in Dubai and Abu Dhabi, clients expect environments that are more spectacular, glamourous and unique. One of the easiest and most effective ways to make an event truly special is by creating a distinctive ambiance using lighting, furniture and accessories to transform any space, whether indoors or outdoors. 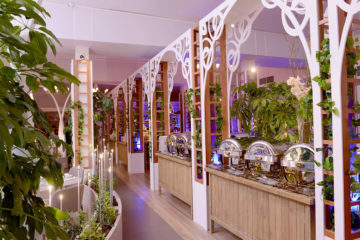 Finding unique furniture solutions through custom or bespoke services can help turn any event from an ordinary gathering into a-never-to-be-forgotten occasion. Furniture seems to be such an essential feature of any event that it’s easy to overlook its design possibilities. There is little doubt that event furniture is one of the three cornerstones of successful event planning. When a client commissions a unique event, whether planning a private function, a corporate get-together or mounting an exhibition, the kind of furniture used makes an indelible statement. Carefully selected event furniture can create an impression. In a relatively simple way, any event can be upgraded to appear more sophisticated or more fun, just with the proper coordination of colours and styles. Clients are always looking for something new to take their events to the next level. Event furniture should never be the last thought on the preparation list because it is often one of the first things guests would notice. Renting furniture from an experienced and reputable supplier is a hassle-free solution. It makes any event or project that much easier to manage. You can rely on them for efficient transport, set up and pick up. Special events also call out for special design. Why be limited to the same colours and shapes, when you can marry functionality with inimitable style? You can even unleash your imagination with custom-made furniture rentals that complement your brand and create an indelible impression to your clients and guests. SEALS YOUR REPUTATION AS AN OUTSTANDING EVENT ORGANISER: Delivering an amazing event involves a lot of work. Being able to provide different and innovative furniture solutions to a wide variety of events shows clients that you are a high calibre professional because you don’t just follow the most popular local and international styles in event production, but you are able to be ahead of the curve, innovating and creating new trends. GUARANTEES YOU HAVE SUFFICIENT HIGH-QUALITY RESOURCES: Furniture rental takes the worry out of sourcing all your furniture needs. Using a capable supplier will ensure you have a rich variety of furniture styles and shapes to choose among. Imagine having an unlimited inventory to choose from then you can understand why it makes sense to rent rather than to collect and store stocks. EXPANDS YOUR DESIGN FREEDOM: When you rent event furniture, you can freely select colours and styles that complement your event’s theme and enhance it to make it look more luxurious, more professional and better planned. You can experiment and innovate as much as you like with less constraints than when you have to make your own pieces. This will allow you to advise your clients on the most appropriate and striking selection of colours, materials and styles as well as giving you the ability to be creative. Current popular trends include vintage (think Downtown Abbey), Arabian Traditional (think a modern day A Thousand and One Nights), and modern and industrial CHIC (think brutalist architecture or Bauhaus, or a Soho loft). CREATES A UNIQUE AMBIANCE: Matching shapes, textures and colours is one of the best ways to create a mood or ambiance in any given event or exhibition. With furniture rental, there are many available customisation features you can use to make your event unique. You can create specially shaped pieces, like banquettes, couches and tables always makes an unforgettable impression. It’s also possible to upgrade other pieces by upholstering and draping furniture. This also offers a good opportunity for branding. Remember that virtually any piece can be customised to create individual looks for each event. ENSURES QUALITY: Working on a budget doesn’t mean you have to sacrifice comfort, elegance or cleanliness. Furniture rentals, especially with customised pieces, can be one of the most affordable ways to convey a sense of luxury and lavishness. BOOSTS THE FUN FACTOR: The advantage of customisable furnishings and fittings is that you can break out of the mould. 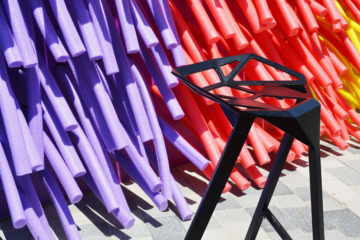 Mixing up different shapes and colours in keeping with the predominant style can disrupt the uniformity and add excitement and visual appeal to exhibition areas, booths, and even conferences or meetings (see our blog on how to mix up furniture). IMPROVES EVENT ARRANGEMENT: Layout and placement are very important. Understanding your venue and thinking about how your guests will be moving within it is one of the invisible but essential secrets of great events. The best event planners know not to bunch up furniture pieces in one area – but to lay out and structure the space using partitions, panelling and furniture to create a sense of flow and harmony. For example, in a large exhibition area, interspersing comfortable seating areas with displays and booths breaks up the space and can grab and focus visitor’s attention. When you use furniture rentals, you can select exactly the right kind of pieces you need, in the precise quantity needed. Even better, you can make bespoke furniture that suits the exact lay out and structure of the space. 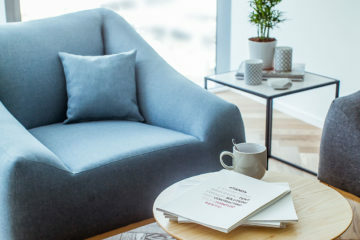 Furniture rental provides you flexible options you could never achieve if you had to purchase or build your own pieces. Some of our recent projects show how much the right kinds of furnishings and décor can add to any event. We have the finest in-house facilities for custom-made furniture and our experienced craftsmen, carpenters, painters and upholsters are true artisans who can fashion even the most stunning effects. For example, to help Hermes celebrate their signature silk square scarf, the Carré, we created a dreamlike scene at the Dubai Opera house. 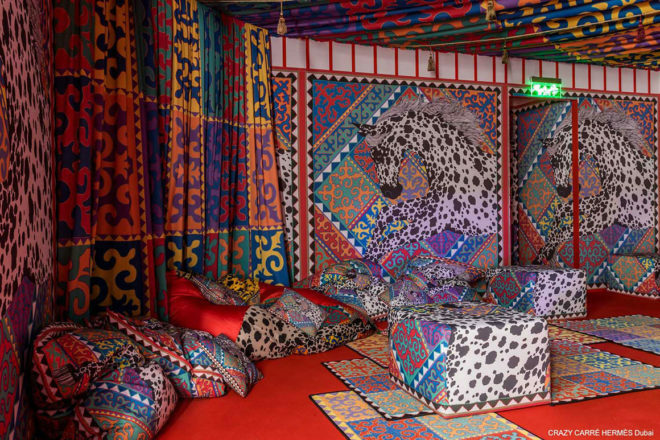 Within 72 hours, our master upholstery craftsmen covered the ceilings, walls and furnishings with 2,200 sqm of printed fabric, half of which was printed in-house. Our craftsmen also fashioned unique on-off decorative pieces such as the Croquet mallets, balls and hoops. 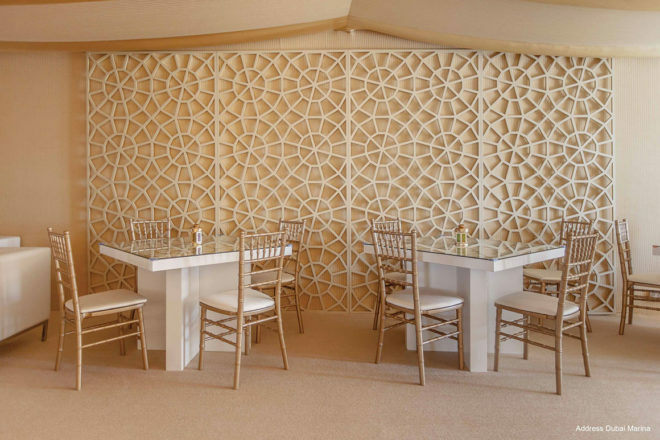 For Ramadan projects, we created special custom-made Ramadan furniture and accessories for two different spaces. 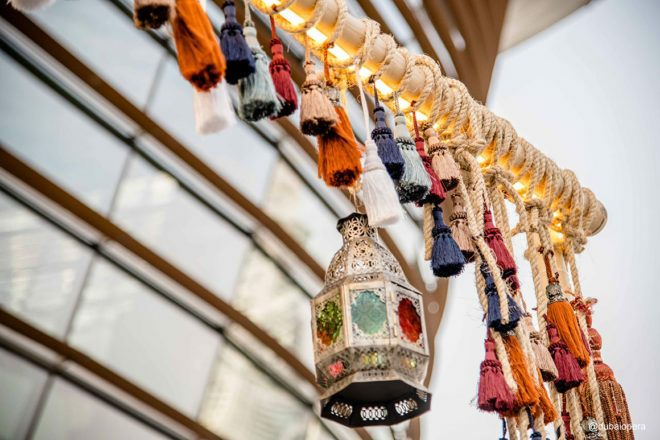 Building on traditional motifs and colours, we constructed four Majlis tents at the Dubai Opera House, including tasselled arches, festoon lighting and Arabian décor. 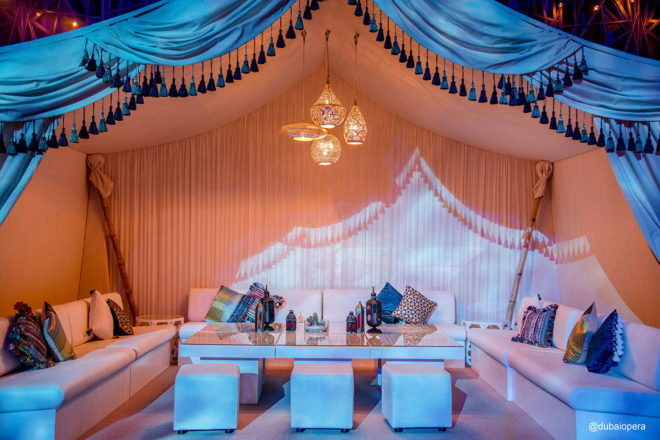 At The Address Dubai Marina, we created a simple but elegant Shisha tent using a rich colour scheme and traditional carved wood Mashrabiya panels. We also used Mashrabiya motifs as a decorative element on tables to seamlessly extend the Arabian style. For Ataya 2018, the annual charity exhibition organised by the Emirates Red Crescent under the patronage and vision of H.H. 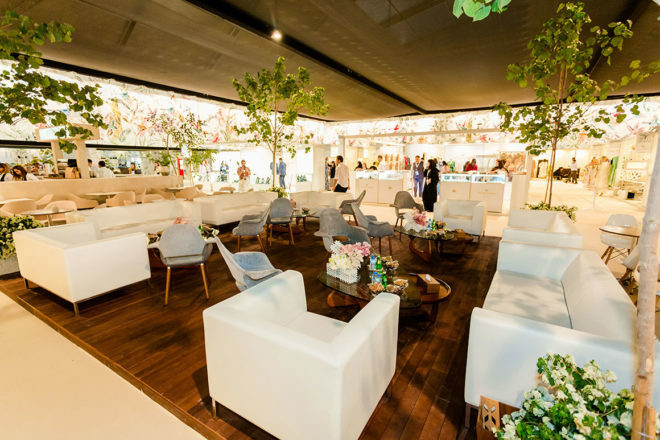 Sheikha Shamsa Bint Hamdan Al Nahyan, we created over 100 individual booths. The chosen design concept was cosy, contemporary, feminine and fresh. Thus, the set of white, Scandinavian-inspired, wood furniture we provided, was classy, modern and also comfortable. 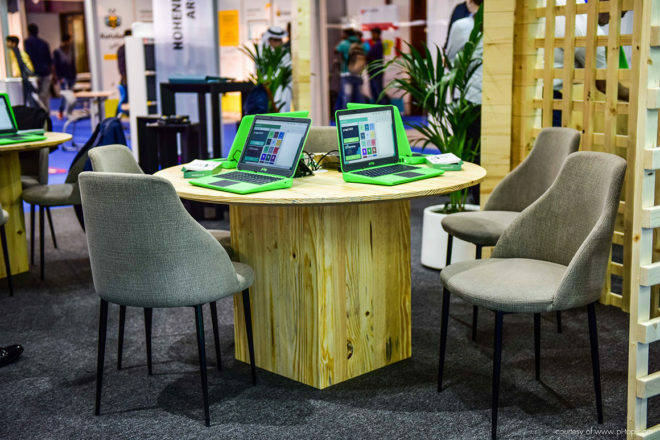 We also created a distinctive booth for pi-top at GESS Dubai 2018, the Middle East’s leading educational exhibition. We built a unique lattice wood open enclosure, making extensive use of pi-top’s brand and colours. The blonde wood of the open sided enclosure was complemented by contemporary furniture in earthy tones, and sharp black pieces, making the bright green colour — pi-top’s brand colour, stand out. Successful event production is all about creating an unforgettable impression in the minds of your clients, guests, visitors or patrons. Furniture plays a crucial role, in making or breaking events. Custom furniture is just as important, than the selection of the venue itself. This is because bespoke and custom-made furniture can transform even ordinary spaces into exceptional environments for people to celebrate, work, or interact. Whether you are organising a business conference or trade exhibition, or even a private or corporate event, you want your guests to be comfortable, happy and interested in everything that is going on. Custom furnishings and décor can make any event more special and more memorable. By renting the most appropriate custom furniture, you don’t only impress — you create the trend. We are constantly adding to our furniture collection and improving them to suit all refined tastes. Check them out for inspiration for your next event or exhibition.